Friendly pub with entrances onto two different streets. A few steps to negotiate, and uninteresting decor, but a good selection of ales - changing even whilst we were there. Food menu spotted but not tried. 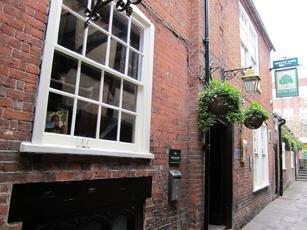 An old pub with lots of history with various nooks and crannies. 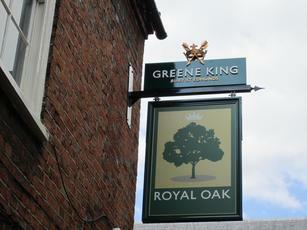 I had the Oak ale, a session beer, though other ales including greene king IPA were on. Also had an interesting selection of craft beers on tap - the punk IPA particularly good. Probably the best pub in the vicinity when compared with the Eclipse or old Vine. Definitely visit again. Interesting pub, playing on its history. Although, it seemed very modern inside. They had Black Sheep Special on - which was a good find and in decent condition. Less could be said about the food. I ordered the Steak - which I wouldn't have given to my dog. It had the consistency of a burger and very fatty. Still, if you don't expect too much, you are not disappointed. would like to confirm some of the below comments... oldest pub in England? very old building with a fascinating history yes.. but oldest? not by a few hundred years. 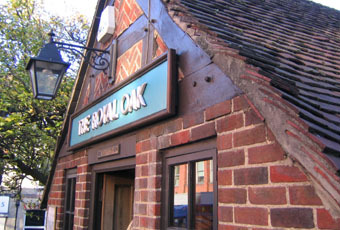 It claims to be the oldest bar in England. MY ARSE !!! !